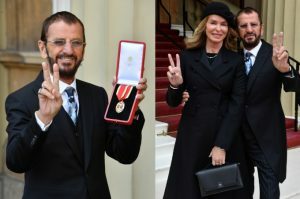 Ringo Starr, the former drummer for The Beatles, received the British commonwealth’s highest honor for his contribution to music and charities. 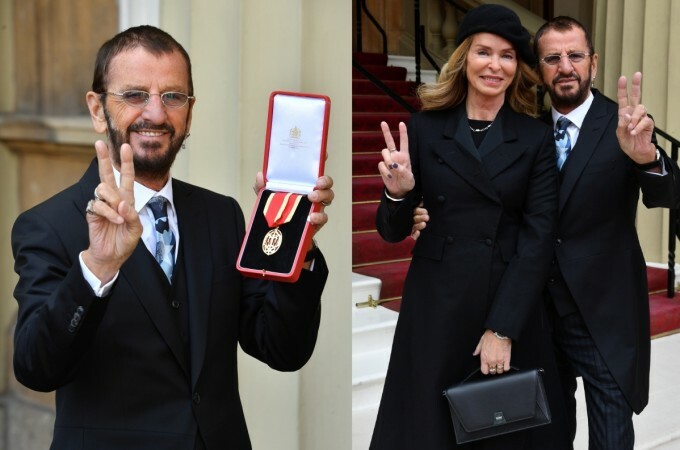 The 77-year-old Ringo Starr received a knighthood from Prince William, decades after his lone surviving ex-Beatle Paul McCartney was honored. Ringo Starr with his wife, Barbara Bach, following being made Knight by Prince William at Buckingham Palace. He used his real name Richard Starkey for the big event, as Prince William thanked him for being such a big part of his childhood with his dulcet tones. 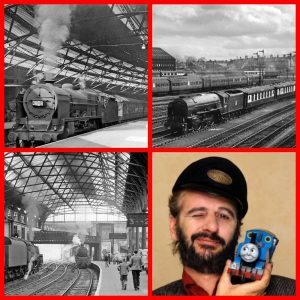 Ringo was loved by a generation of kids who know him as the narrator of the cartoon series Thomas the Tank Engine and Friend. 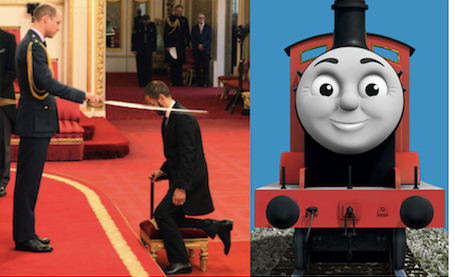 He brought to life to a fictional universe where locomotives have the same emotions and verbal skills as humans. Ringo Starr and various images of steam trains that were operating out of Liverpool Lime Street Station during his childhood and teenage years. Starr was born on July 7, 1940, in the working class Dingle area of Liverpool. Much of his childhood was affected by illness and his frequent visits to hospitals, for appendicitis and tuberculosis among other ailments, caused his education to suffer. It was during his blighted youth that he developed a love of music and a knack for playing the drums. 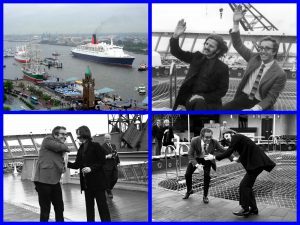 He also took odd jobs before achieving great success, working as a waiter on a tour boat along with a stint with British Rail. 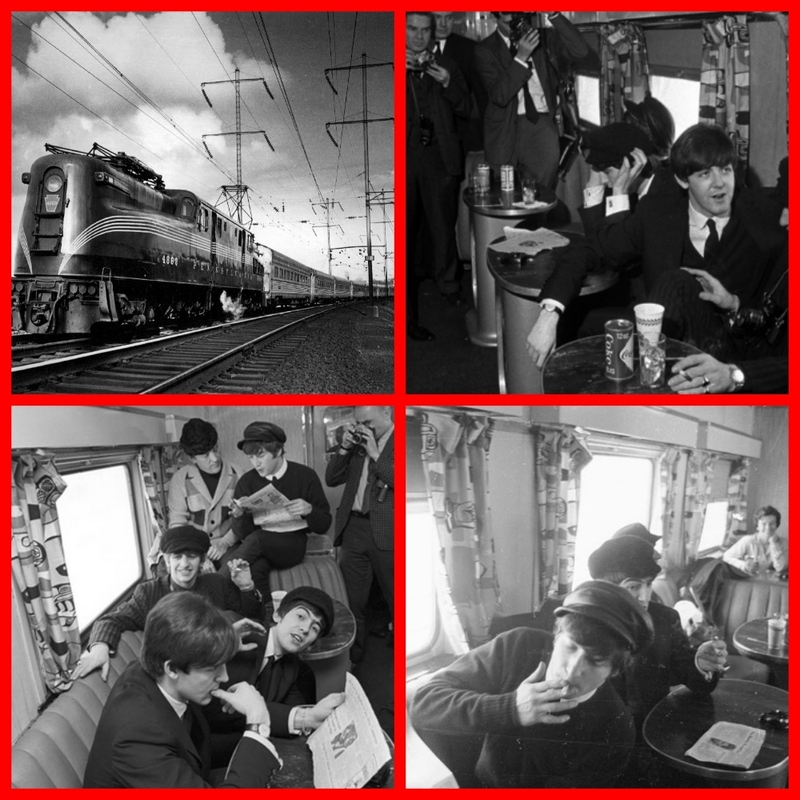 Ringo and the Beatles on their 1964 tour of the USA traveling from New York to Washington DC on the Pennsylvania Railroad’s streamliner the Congressional Limited. Starr met The Beatles in Hamburg in 1960, and two years later he replaced the band’s drummer Pete Best, a takeover that was controversial at the time. 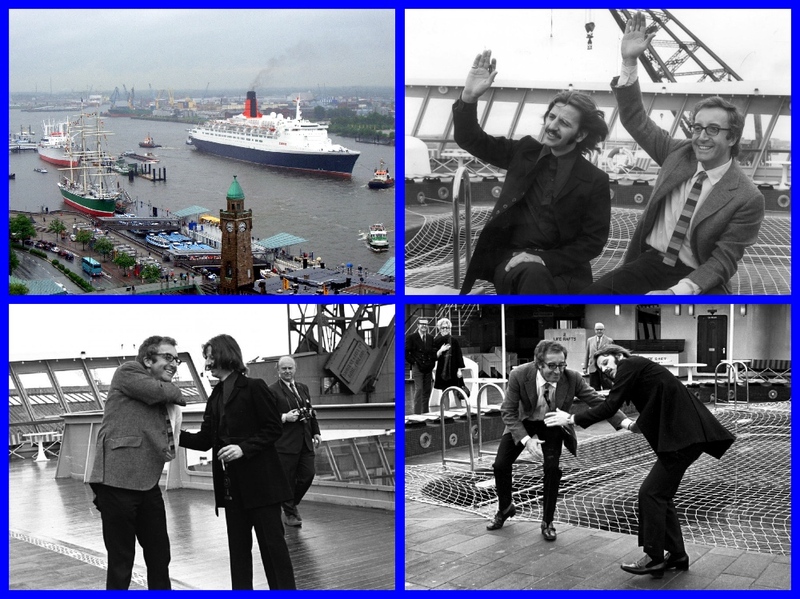 Ringo Starr clowning around with Peter Sellers just after Cunard Line’s QE 2 started service from England to New York. Over the years, Starr has continued with his solo career and has released 19 studio albums; the latest being 2017’s Give More Love. Ringo Starr on the Congressional Limited with the Beatles. 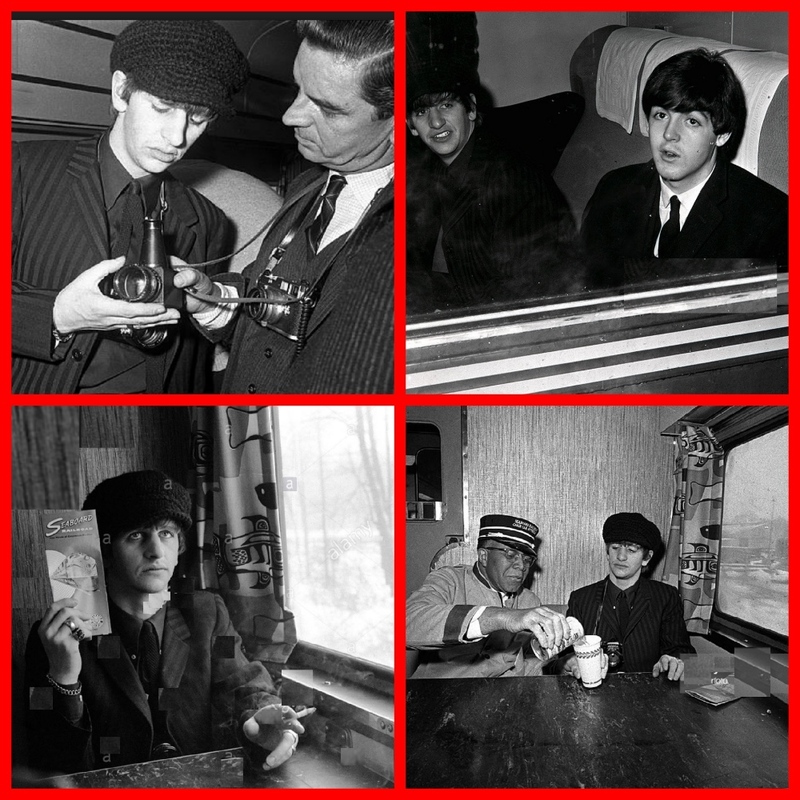 It comes more than half a century after the youthful Beatles first went to Buckingham Palace to receive MBE awards. Previous: PETER KNEGO, the maritime historian who turned his home into a MID-CENTURY ocean-liner. Next: Elizabeth Taylor sailed many times times aboard Cunard Line’s RMS Queen Mary, RMS Queen Elizabeth and the QE2.